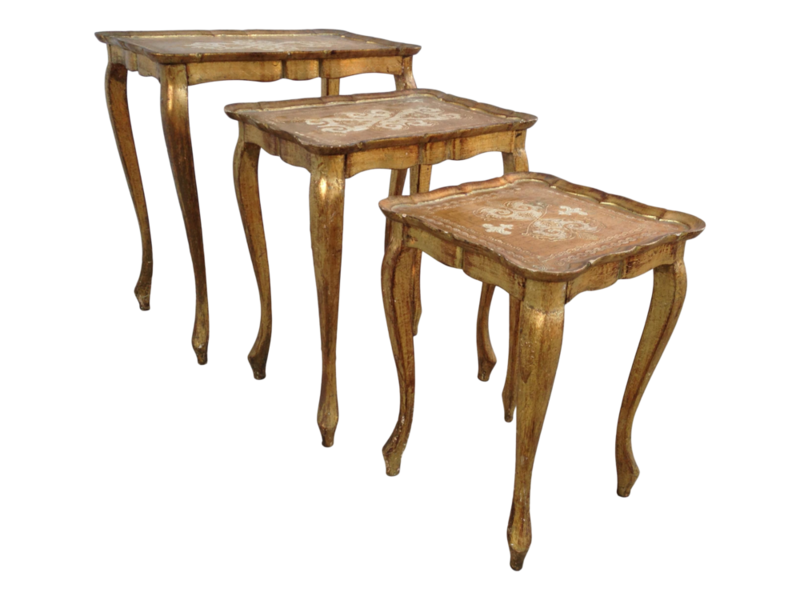 Pretty 3 piece set of 60's vintage Florentine painted wood nesting tables. 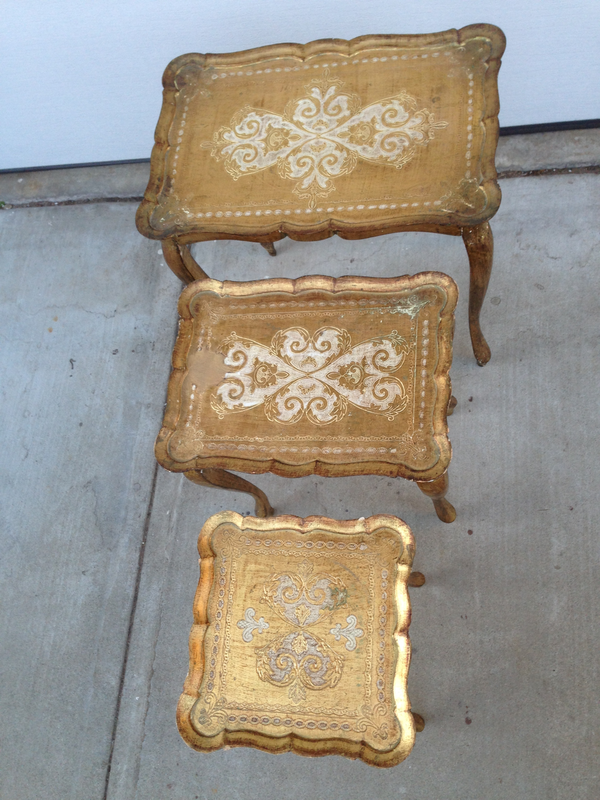 Gold gilt paint with beige detail, tops are interesting different floral patterns. Made in Italy stamp on underside of small table. Condition is good with minor nicks & chips & a roughly 3" diameter spot on the middle table top that has been repainted ( see pictures), which is not very noticeable.